Singapore is calling for Ipswich based pro drifter Josh Boettcher. 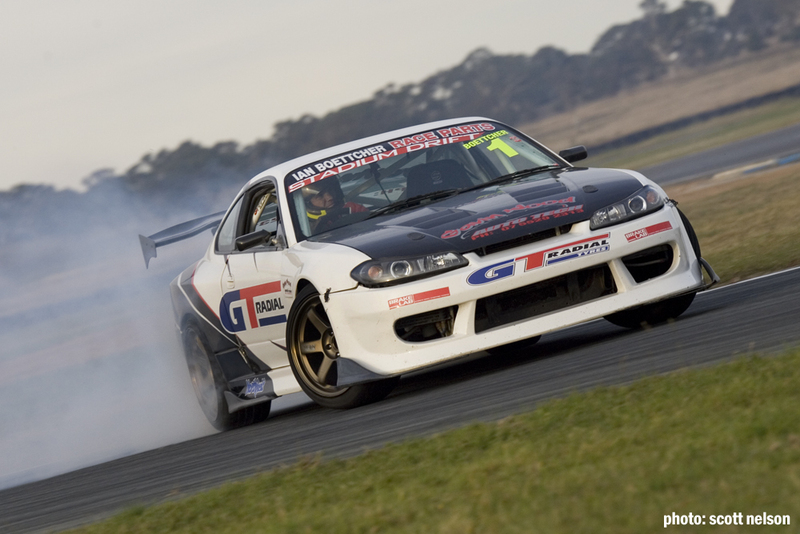 It all started with a call from his sponsor GT Radial Tyres asking if he would be interested in coming to Singapore for the next round of the elite series of the US based Formula Drift. “To be honest, I almost dropped the phone, it’s the phone call you always hope for but never really expect to get!’ Josh told as he explained with excitement his plans for the trip. ‘With the event being held on the Singapore Formula 1 track on the 11-12th of June I don’t have long to prepare and I am quickly discovering what’s involved with air freighting and working out how to get the E85 tune right based on the conditions over there!’. The Singapore round of the Formula Drift Series attracts over 120 million viewers worldwide and this presents an amazing opportunity for this up and coming driver after his successful 2010 season, taking out the Stadium Drift Pro Tour.